Earning Wine Spectator’s praise for a 96-point Pinot Noir wasn’t enough to keep Mike Sinor fulfilled. In fact, neither was flying from Santa Maria to Napa for wine and dine lunches on a private Gulfstream jet. The trips to Burgundy and Bordeaux, France, to study winemaking and wine dinners with the Rothschilds were wonderful, but the ‘perks’ and awards always came while working for someone else. After returning from France in 1996, Mike Sinor started his own wine label, Sinor-LaVallee, with his wife, Cheri, in 1997. When the Paso Robles Wine Country Alliance and San Luis Obispo Vintners Association each named Mike Sinor California’s ‘2012 Central Coast Winemaker of the Year’ in mid July, the Visalia, California, transplant soon traveled back to the Central Valley for a promotional event at The Market. Later that evening, Mike and I chatted at Trelio Restaurant during a wine dinner event. We agreed to meet a week later at the fabled Santa Margarita Ranch and Ancient Peaks Winery, just south of Templeton, Calif., in order for me to better understand the man behind the honor. While Mike was raised in the center of agriculture in the State, his father, Bernie, an avid pilot, sold heavy construction equipment as owner and operator of Sinor and Sons Equipment company. Bernie gave young Mike plenty of opportunities to work on the job sites or at the family-owned Fresno junk yard. Mike spoke fondly of his father’s staunch commitment to his business, working hard but taking time to play hard with the family. Bernie and Mike often went hunting together, and while it did not often include big game, father and son hunted doves in the foothills of Madera. 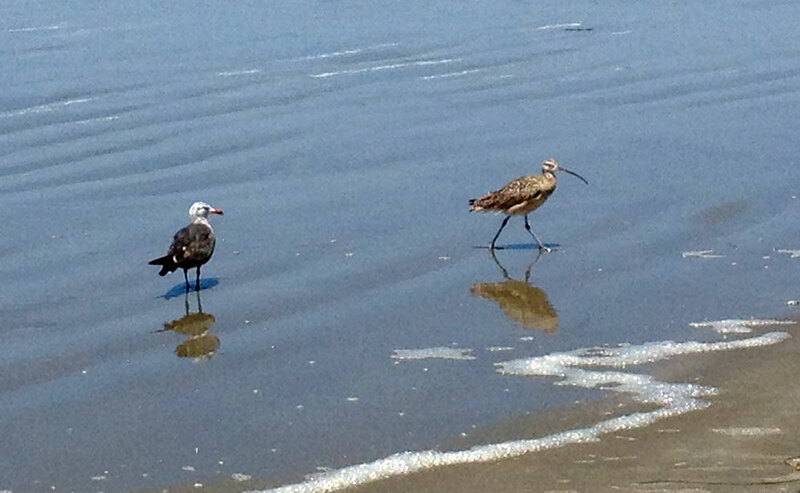 And like many Central Valley residents, the family made numerous trips to Cayucos which is where Mike’s love of the beach began. But working for Dad was not a part of Mike’s plan. College and the Central Coast beaches lured the high school graduate. The teenager ended up in San Luis Obispo; Mike enrolled at California Polytechnic State University [Cal Poly], ready to become the first college graduate in his family (Mike’s sister, Teri LaFleur, is now a 3rd grade teacher in Woodlake). I spent a morning with Mike Sinor, right, at Center of Effort in the Edna Valley where he works with a number of other winemakers and also creates his Sinor-LaVallee brand. Sinor’s upbringing, like many from the Central Valley, brought a love for the coast; Cal Poly was a natural choice. The Sinor family encouraged Mike to take responsibility for his education at an early age but expected him to pay for college. He entered Cal Poly hoping to become a high school shop teacher; however, upon meeting his future wife, Cheri, in a Chemistry 101 class, that dream changed: a love for each other and the wine-making journey was born near the beach in 1991. Many Central California teenagers dream of leaving the San Joaquin Valley for a college beach experience. Mike Sinor left Visalia for San Luis Obispo and a degree from Cal Poly. Mike did more than just put in time at local wineries. He became a part of their families, including Bill and Nancy Greenough’s at Saucelito Canyon. Whether Mike picked the kids up from school or punch downs three times per night, Nancy said Mike found joy in whatever task he undertook. She never felt awkward about asking him to do the “crappy job” or the worst job at the winery. Mike had a Valley Boy reputation: always hard working. No job was beneath him. “Mike was like a Junk Yard Dog,” Bill Greenough said. “There wasn’t anything he couldn’t fix: from tractors to wine equipment. Actually, I don’t know why he initially wanted to become involved with wine but he was so curious. Mike and Cheri’s personal wine label is Sinor-LaValle. Mike’s Spanish family heritage is the Sinor and Cheri’s background is French; thus the LaVallee. Sinor not only had time for the wine business and babysitting the kids, but the Greenoughs said Mike took so much pride in completing even unusual tasks. Today, Mike no longer wears a pony-tail under his baseball cap, something that Bill jokingly chided him for while Sinor lived in a house in the vineyards. Sinor, while living out a ‘Rush Limbaugh work ethic in the morning and country music in the afternoon,’ has given back to the Greenoughs. 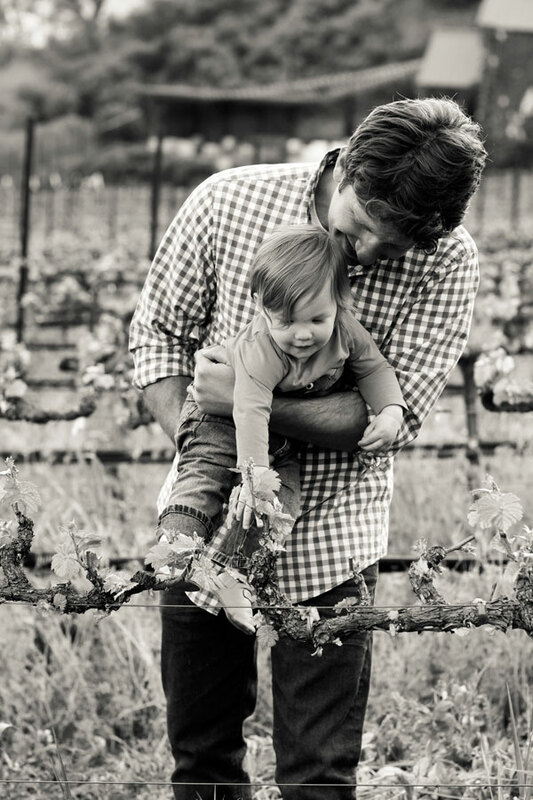 He has helped mentor Tom Greenough as he took over as Saucelito Canyon’s winemaker. 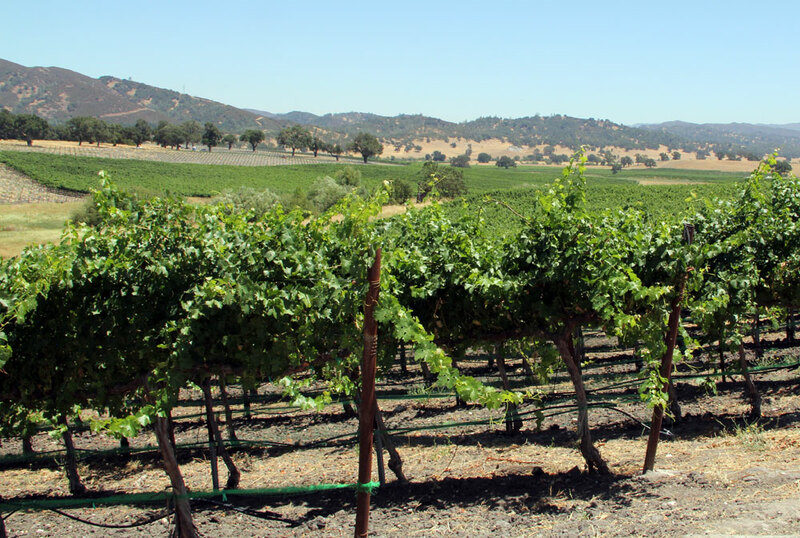 After graduating with a degree in Industrial Technology, Sinor began working for the Robert Mondavi family at Byron Vineyard in Santa Maria during the harvest of 1994. He rapidly gained respect as moved up from his cellar position to Assistant winemaker to Ken ‘Byron’ Brown. Sinor’s background and passion for the land and vineyards also increased as he made two trips to France to study French winemaking processes with a focus on the vineyards and domains of Burgundy. These trips became even more personal as he married Cheri while on a trip to Beaune, Burgundy, in 1996. A year later, Cheri and Mike started their own label: Sinor- LaVallee Wine Company. Their name is a ‘marriage’ of their two heritages: Sinor-Spanish and LaVallee-French. Their focus? Like that of their shared love: 300-400 cases of Pinot Noir. Sinor worked with Byron Vineyards and Winery until November of 2000; he had seen production quadruple, a new winery built, and hundreds of new acreage planted. He left Byron after four years for his first winemaker position at Domaine Alfred [Chamisal Vineyard] in the Edna Valley and never looked back, despite what he gave up. 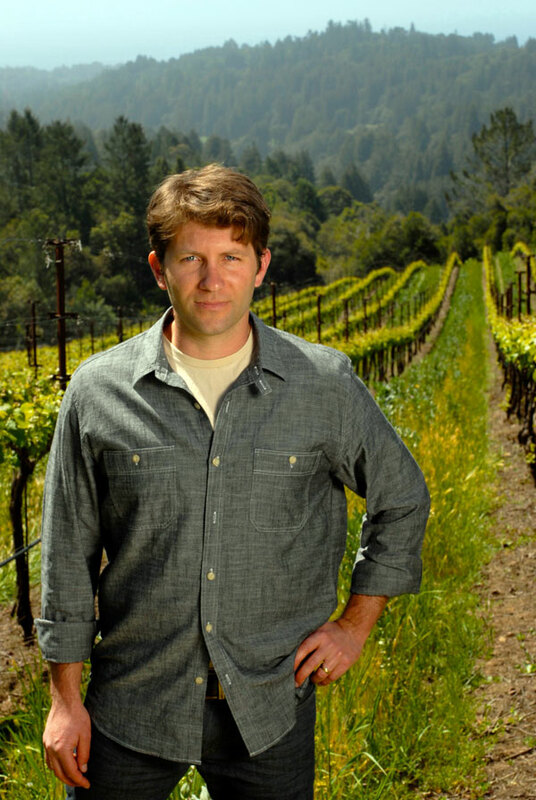 Sinor began his winemaking journey at Byron Vineyards and Domaine Alfred, where his 2004 Domaine Alfred Pinot Noir Edna Valley Chamisal Vineyards Califa earned 96-points from Wine Spectator. He currently works at Ancient Peaks Winery in Santa Margarita. Domaine Alfred had been a small winery renewed by owner Alfred “Terry” Speizer. He planted the dormant vineyard with the latest French clones, including six Pinot Noir and five Chardonnay clones, in the mid 1990s. Speizer made Sinor his winemaker in November 2000. The two worked the vineyards to near perfection for five and a half years, expanding and tinkering with the vineyards. Sinor’s mantra is passionate: Wine done well will transmit its environment. After 5 1/2 years as Domaine Alfred’s winemaker, Sinor felt like a change was imminent. He had offers for a lot of jobs but the opportunities were not a right fit. “The message is the place, the messenger is the wine,” Sinor said. Wine Spectator agreed with Sinor and put Domaine Alfred on the map on June 15, 2006. They rated the 2004 Domaine Alfred Pinot Noir Edna Valley Chamisal Vineyards Califa. 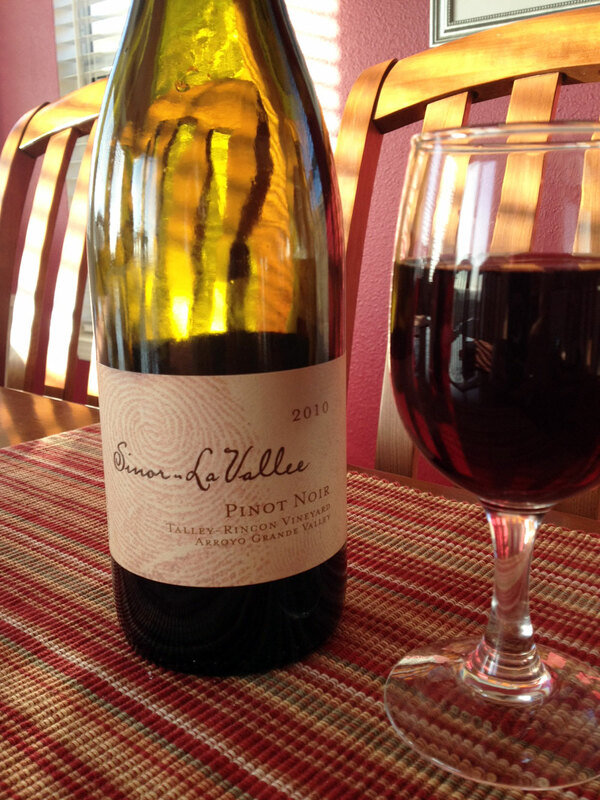 This was the highest score their critics had ever rated any Central Coast Pinot Noir. The Chardonnay, Syrah, and Grenache also earned acclaim. 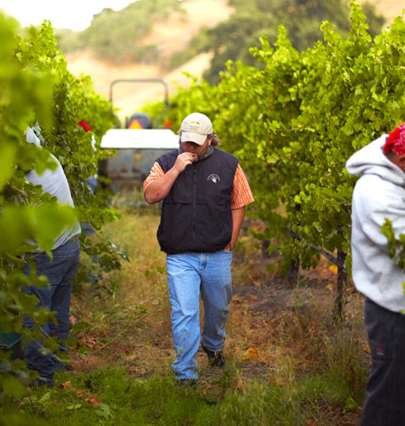 As a winemaker from a world class winery, Sinor led the Central Coast into notoriety. Sinor joined Brian Talley and a group of vintners who pioneered a new organization in 2001: The World of Pinot. He served on the board of directors for 10 years. Countless others in the industry kept him busy for interviews and consulting. 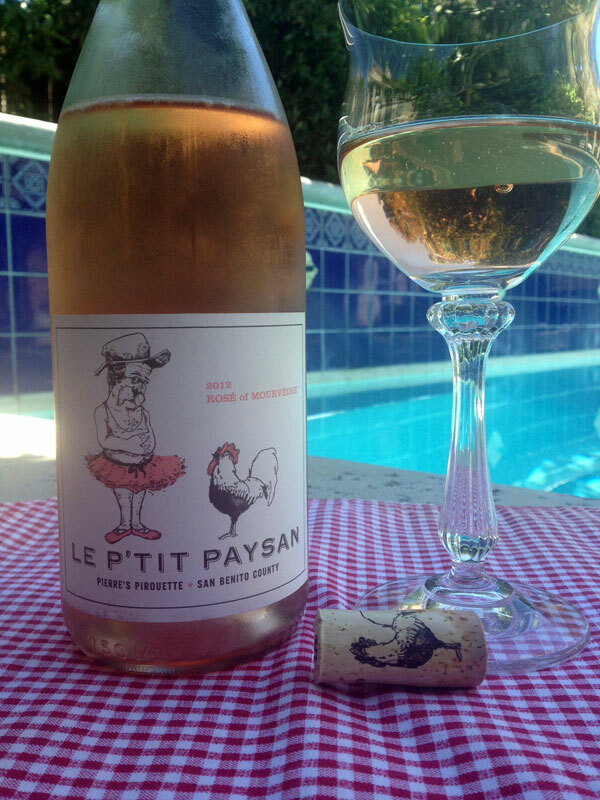 Mike and Cheri’s Sinor-LeVallee wine label continued its own success in the Edna Valley and all seemed right. All seemed right to everyone except Mike and Cheri. “Even before Wine Spectator came out and gave our pinot the high score, I was already thinking my time at Domaine Alfred was coming to an end,” Sinor said. “I knew a major grow of the brand was coming; we built a new winery and would need to hire more people to support the increased production. Both Cheri and I knew we didn’t want to stay much longer. I had lots of offers to leave but nothing seemed right. It was time to explore another level and personal growth but I didn’t want to do a job I have done before. Family and community relationships continue to shape Mike and Cheri Sinor. 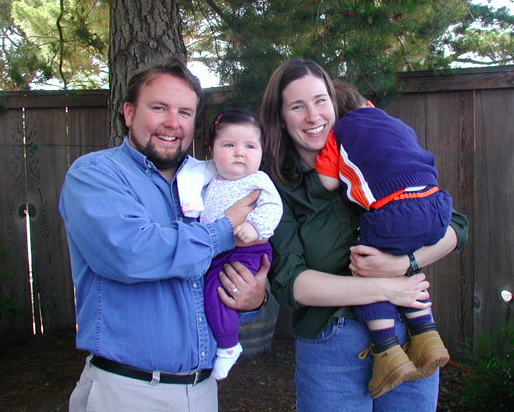 In this 2003 family photo, Cheri holds a reluctant Tomas and Mike cradles Esmee. “Some people said I left [Domaine Alfred] because of the accident. But I had been thinking about leaving since the fall of 2005, months before the high score and our time of grieving. The Sinor family’s direction changed forever, Jan. 13, 2006. On a routine flight back to Visalia’s Municipal Airport, Mike lost his dad, Bernard “Bernie” Sinor, his stepmother, Betty Ann, and his stepsister’s two children. The plane crash claimed all their lives and reshaped Mike’s next steps. 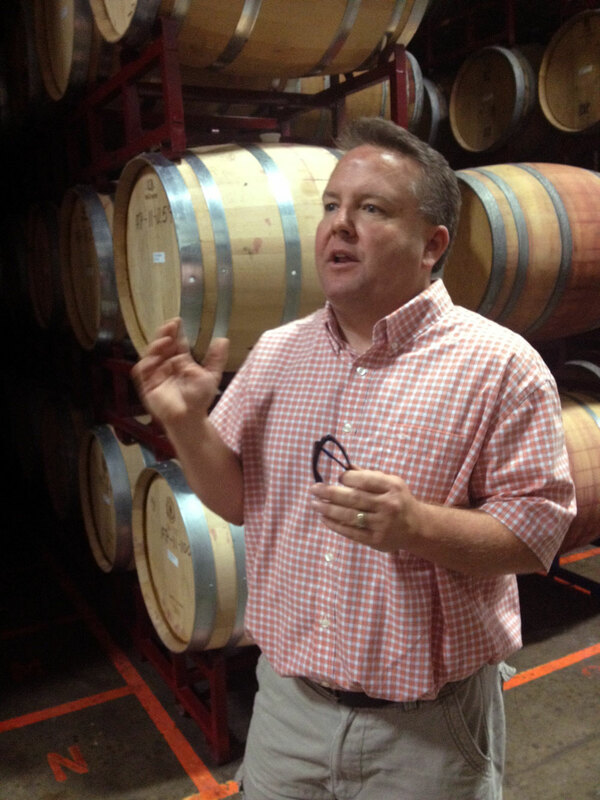 Please check out A time for change: Mike Sinor winemaker of the year, Part II. Read as Mike overcame his great loss and accepted a new challenge at Ancient Peaks Winery in Santa Margarita, Calif. His wife, Cheri, and Mike still produce Sinor-LeVallee wines and continue to be leaders in the Edna Valley winemaking community.